Are You Making These Mistakes On Your Shopify Store? 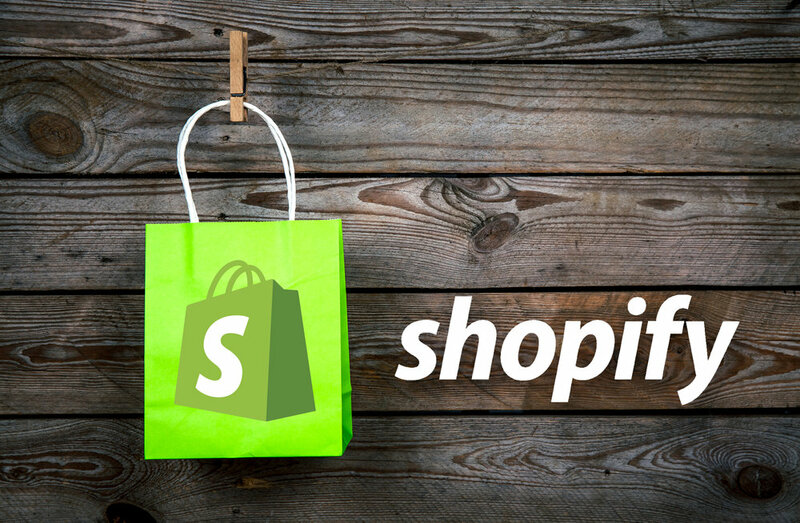 Shopify has been igniting the future of ecommerce for many years now. It’s the easiest out of the box platform to get set up and running with a legitimate ecommerce store. Even if you're not technically savvy. As both a Shopify Partner and a Certified Shopify Expert, we spend a significant percentage of our days helping merchants solve their marketing challenges and build profitable growth for their stores. Unfortunately, many brands on Shopify are making mistakes. In this article, we’ll explore several common mistakes that ecommerce business owners make and how to avoid them. We’ve also tapped into our community of ecommerce experts, both sellers, marketers and tech vendors alike, for additional insights and tips. Shopify helps you keep products organized and easy for customers to find through their categorization feature, known as collections. Damon Inlow, owner of Vaporizers.ca, finds it to be one of the most overlooked opportunities Shopify stores miss. Website owners often don't take advantage of the ability to optimize collection pages, or don’t even have content on collection pages at all, he says. They're missing powerful opportunity to rank for high volume keywords, i.e., women's jeans or men's jackets, versus the very narrow keywords you'd see on a product page, i.e., red men's fleece jacket, size xl, etc. Ultimately, collection pages enable a rewarding process of discovery for customers and contribute to a better overall shopping experience. Shopify makes these collection pages by default, so you're wasting a great opportunity if you don't optimize them. Vincent Phamvan is the Head of Growth at Simplr, a customer service outsourcing technology company. He suggests that many Shopify stores focus too much on making a one time, single sale with a customer, and then moving away from that sale and onto the next customer, rather than nurturing existing relationships and searching out new ones. But there are three primary ways that successful stores grow revenue, from finding new customers to increasing average order value to empowering customers to order more frequently. And of those three, increasing average order value and pushing customers to order more frequently are easier to tackle than finding new customers. This is why customer service is so important. Live chat, for example, ensures customers buy the products they’re looking for and thus, minimize returns, and offers opportunities for up selling or cross selling to ensure a more profitable transaction. Shopify stores often look at customer service after a sale as an unnecessary cost, but the most successful brands see it as an opportunity to build a long-term relationship with those customers to drive lifetime value. Shopify merchants often neglect to pay enough attention to product descriptions, explains Ryan Kemp, Director of SEO Strategy at Tandem Interactive. If the user has clicked on your product and now you have to sell them, the description is critical. He recommends several best practices. First, bullet point features. Second, making sure every product has a unique description (read our post on how to craft that narrative!) Third, speak to the customer’s problem and how your product solves that problem. Next, short sentences with strong verbs. Unique descriptions are more difficult for large companies with lots of products. Lastly, build templates for similar products with a focus on how each individual product varies from the others, i.e., color, size, texture and so on. Is it tedious to create unique descriptions for every product? Of course. But it’s worth it when you see the results in the form of higher sales. "There are two primary issues with selling exclusively dropshipping products. The first is the low profit margin, and the second is the unreliable nature of dropshipping." Hull writes that because drop shipping is such a competitive business model, profit margins for drop shipped products are usually very low, typically between 10%-15%. "For many sellers," she says, "this is not enough to justify the trouble of operating an online store." "What's more," Hull adds, "when you choose to fill your store with only drop shipped products, you accept the inconsistency of dropshipping and you put your brand's reputation at risk. And because you are not in control of the manufacturing or shipping of your products, you are not able to ensure that your customers receive quality products on time. Delayed shipments and faulty goods are common, and negative reviews from your customers can damage your business's credibility." Ultimately, online sellers should strike a balance. Hull recommends you consider using drop shipping sparingly, adding a few drop shipped products to your online store can to fill out your catalog, while minimizing the risk. 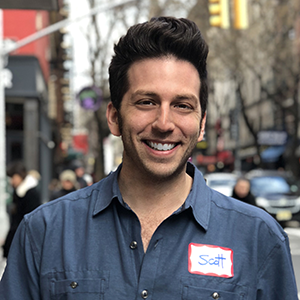 Our friend Taylor Sicard, Consultant & Merchant from Brand Value Growth, a portfolio ecommerce company, has extensive experience with Shopify, both the platform and company itself, as well as merchants who sell there. When we chatted recently, his answer was simple: No company is going to be successful by staying in their comfort zone. Unfortunately, he told me, some merchants, out of fear, will only run advertisements for which they have a certain return on advertising spend or cost per acquisition. Other Shopify merchants might stick with proven strategies that everyone else is doing. Both of which will earn new sales, but none of which will create significant growth. At a certain point in their brand trajectory, every merchant has to take chances. They have to try new audiences and experiment with fresh tactics frequently. To help Shopify merchants end their fear mentality, he also recommends connecting with other sellers in the community who sell different products, or don't have conflicting businesses. It’s the perfect venue to share insights, vendor names and other best practices. Shopify has spent a lot of time and energy in the last year or two trying to bring together their community with regional events (check out our review from Shopify Unite 2018 here!) online chats, and exclusive social media groups. All for the purposes of helping them grow their businesses. What’s exciting is, most merchants are very forthcoming with that information. Sellers are quite helpful with how they grew sales, i.e., from one to two million, and how other merchants can adopt the same strategies. That’s the mark of a healthy, robust community. Merchants trust that other merchants are not out to get them. Frankly, it's the other ten million stores out there who are selling the same products as that you should be concerned about. Not vendors who use the same platform, but have different customers. Thanks to all of the contributors in our community for sharing their insights, strategies and tactics. Find the ideas that work best for your ecommerce store, and you’ll be well on your way to achieving your business goals. Want To Write Amazing Emails? Here Are 5 Proven Strategies Email is still the best marketing channel for most businesses by a long shot. You might as well get it right. And not just right, but amazing. Badvertising: Our New Book About How Big Agencies Are Screwing Big Companies Out of Big Money, And How to Stop It Something is broken in the digital marketing world, and we're tired of losing sleep over it. That's why we coined a term for it and wrote a book about it. Download your free chapter now. What Is The Best Email Frequency For Retail Marketing? That’s the beauty of modern email landscape. If you and your agency can stay ahead of rapid changes in the marketplace by testing things that haven’t been tested, you will build a real foundation for scale.